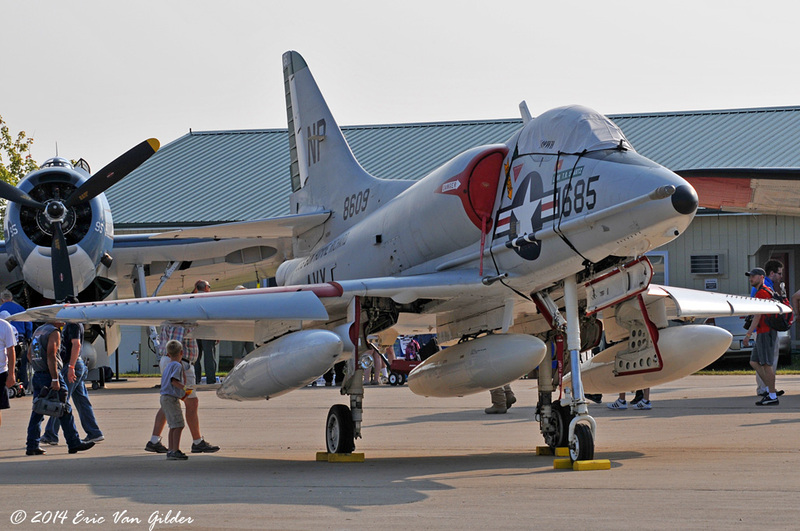 The A-4 Skyhawk first flew in June of 1954 and remained in production until 1979. 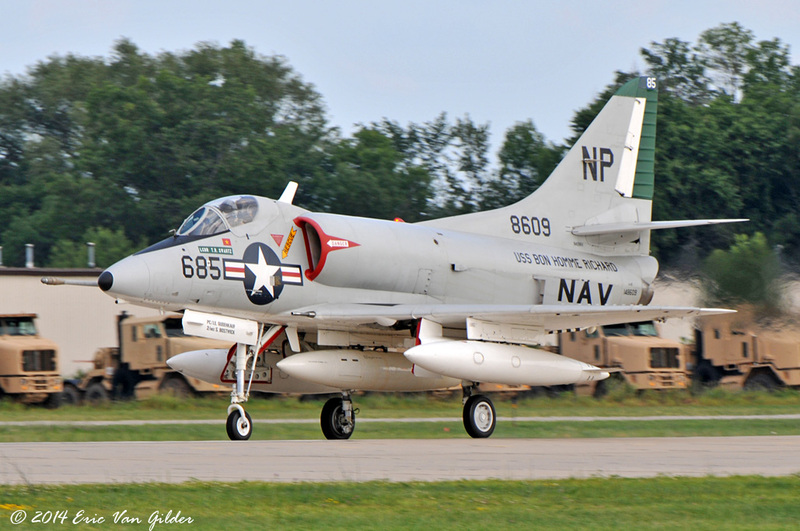 The US Navy used the Skyhawk during Vietnam and continued to use it up into the 1980s as an adversary for the US Navy Fighter Weapons School, Top Gun. Israel also used the A-4 in the Yom Kippur War and in other engagements in the Middle East. Some of these were later sold to Indonesia. Argentina used the A-4 during the Falklands War. 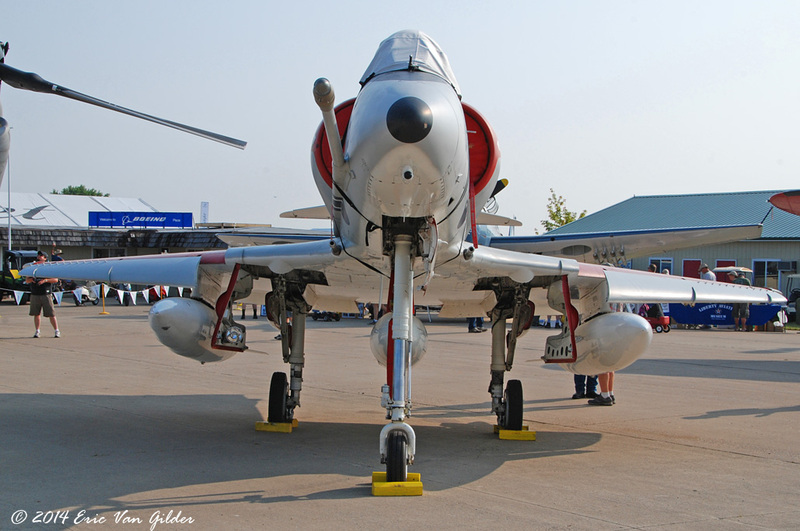 Kuwait also had several A-4 Skyhawks prior to the Iraqi invasion. 24 of the 29 Skyhawks escaped to Saudi Arabia during the invasion and were flown by the Free Kuwaiti Air Force during the liberation. 23 of them survived the war and were later sold to Brazil, where they are still in use today. 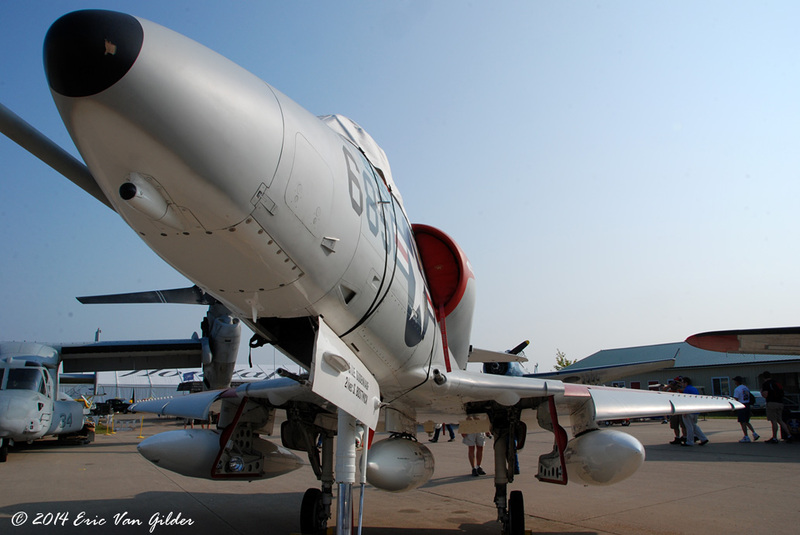 This is an A-4B manufactured in 1957.